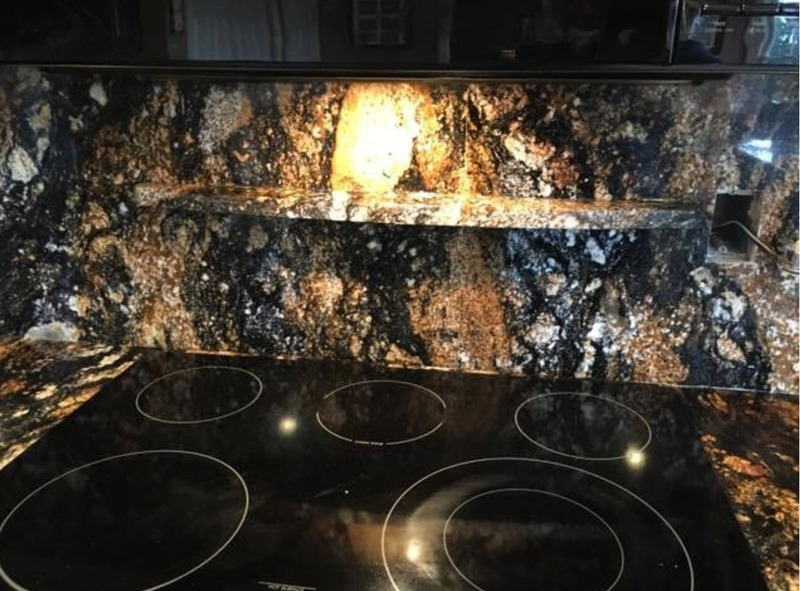 Trinity Granite + Marble, Roan Mountain, Tenn.
ROAN MOUNTAIN, Tenn. -- When Mike Ruggieri and his wife, Hope, bought Trinity Granite + Marble five years ago, just about everyone they talked to suggested they didn’t have enough money to make a go of it. 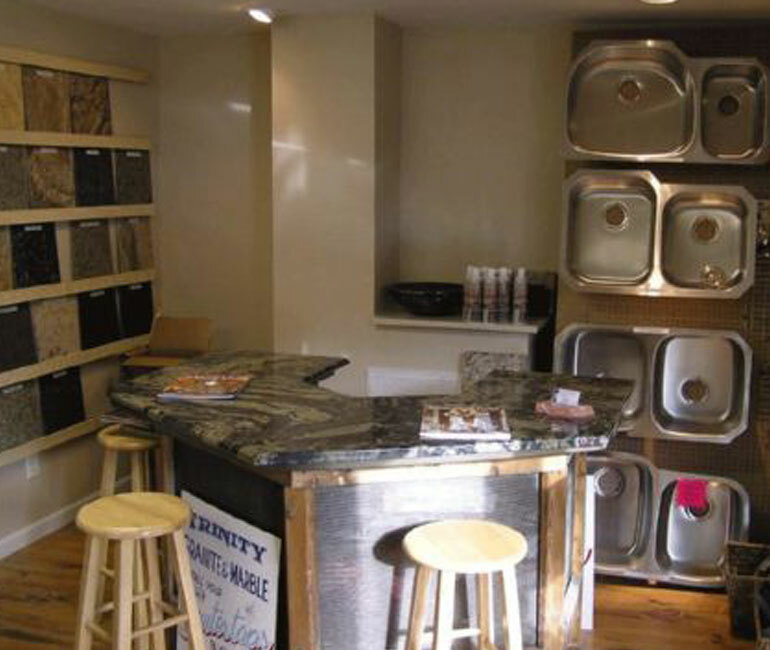 A small shop with all-manual equipment located in a community of fewer than 1,500 people in the mountains of eastern Tennessee, Trinity Granite could best be described as modest. Fortunately, the new owners chose not to listen to those weighing in. Instead, Mike Ruggieri took a studied approach to running the company, adding a second showroom in its primary market, and a CNC saw that virtually doubled production with the same number of employees. 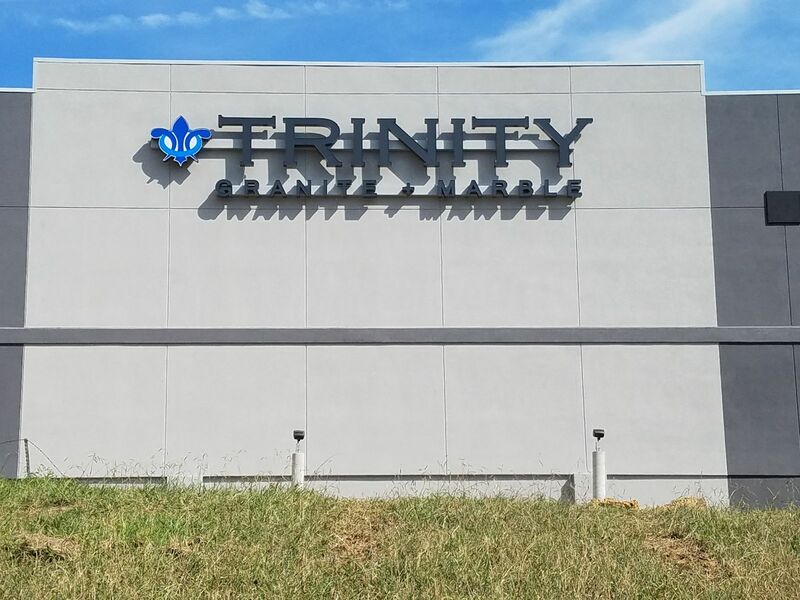 And while he would like to continue seeing Trinity Granite grow, he doesn’t want it to be at the expense of the company’s reputation for precise fabrication and a clean install. 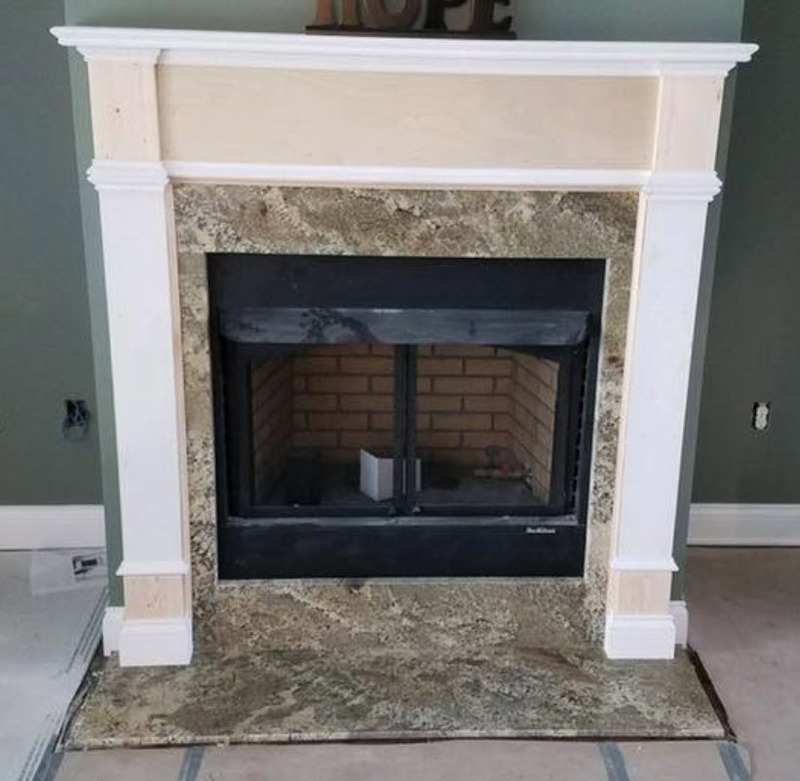 The Ruggieris' purchase of Trinity Granite + Marble in January 2014 came down to a happy combination of circumstances. Founded in 1998 by Don Winters and owned since 2006 by Tom and Wendy Smith, the Smiths had reached a point where they were ready to start a new chapter in their lives at the same time Mike Ruggieri was looking to change careers. Despite the nay-sayers, the deal was done, and the Ruggieris found themselves with a 4,000 ft² office/warehouse/showroom on one side of a Roan Mountain street, and a 3,500 ft² shop on the other. Being new to the business, Mike Ruggieri says he joined the then-Marble Institute of America to get as much information as possible on his new trade. He also began following in the footsteps of his predecessor. Not that Ruggieri is technology-averse. His first purchase was an ETemplate™ laser templating system, and the company began plotting its templates on vinyl while still cutting with the manual bridge saw. However, the hiring of a new leader for the install crew enabled Ruggieri to devote himself to running the shop. “By not doing installs, it allowed us to focus on growing the business,” he explains. “The shop is where we make or lose money and the install is what makes or breaks our reputation. Part of that increase was fed by the couple’s decision to open a second location in October 2016. 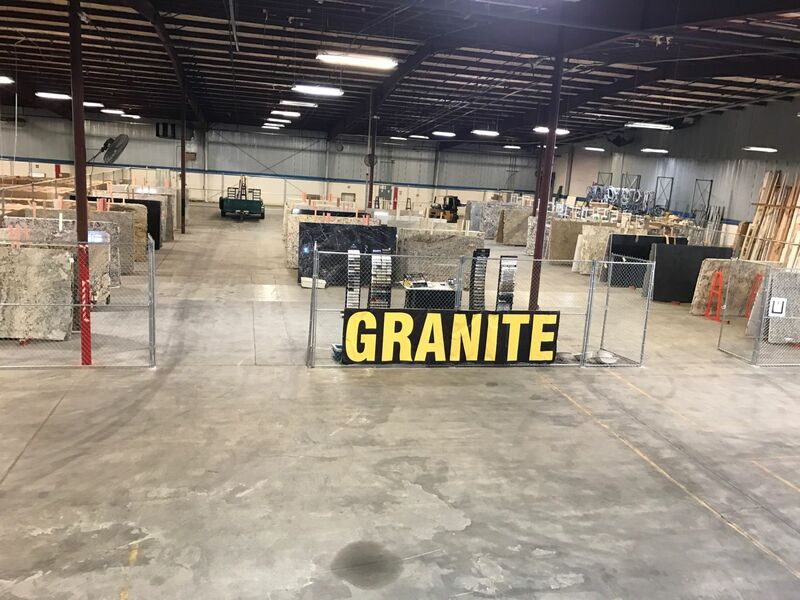 Although Trinity Granite serves customers within an approximately two-hour radius that includes parts of Virginia and North Carolina, its biggest market is Johnson City, Tenn., a community approaching a population of 70,000 people approximately 40 miles northwest of Roan Mountain. The difference was enough that the Ruggieris felt comfortable investing in a Sasso K600 5-axis saw. That’s even though the Ruggieris have seen their market change in the five years they’ve owned the business. What used to be almost 100% direct-to-customer sales is now only about 50%. These days, Mike Ruggieri estimates about 15% of the business is commercial, and the rest of the work is sold through cabinet builders and designers. He cheerfully admits that thanks to his previous job, he has an in with some of the builders in the area, including his former boss. “Almost all of the commercial work is for the company I used to work for,” Ruggieri says. “For instance, East Tennessee State University put in a football stadium. It’s small; it only has about a dozen suites and a common area, but we did all of that. We’ve done some senior living projects for them. 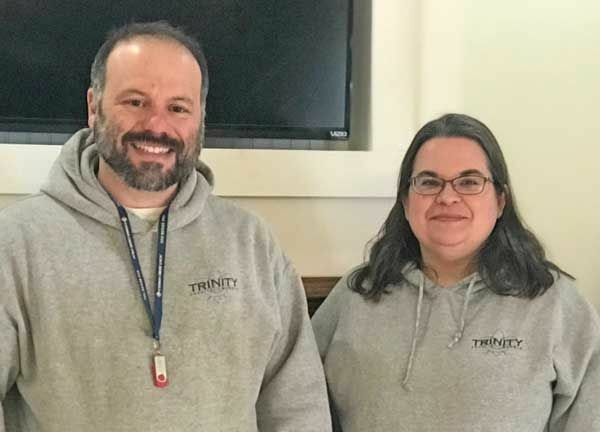 Right now, he’s waiting to learn if Trinity Granite will be doing a 60-apartment complex in Asheville, N.C. Ruggieri adds he also gets a lot of business from high-end seasonal homes in the North Carolina mountains. Ruggieri says most of the sales are handled through the company’s sales manager, who staffs the Johnson City outlet (Hope Ruggieri works with visitors to the Roan Mountain showroom and runs the office). One of two employees who stayed through the ownership transition, Mike Ruggieri says her main role is to help people visiting the showroom. The rest of his marketing approach includes a television ad that keeps the company’s name in people’s minds, and a large channel-letter sign on the Johnson City building, which fronts Interstate 26. Turning out the best work possible is why the company went to digital templating and the CNC saw, he adds. Next to his CNC saw, he believes his most-valuable tool is an NSI Seam Phantom, which lets the three-man fabrication crew undermine seams to get the chips out for a better fit. That drive for perfection is also the reason all Trinity Granite’s materials are stored indoors, and jobs are delivered in box trucks – or the shop’s trailer if it’s a big island – and why the trucks are stocked with a multitude of tools including seam setters, vacuum bars, clamp bars, grinders and polishers, dishwasher brackets and a can of polish to give out for every installation. One of the banes of his existence, he says, is unlicensed contractors installing out of pickups. His other challenge: finding good employees to keep turning out the high level of work he expects. Thanks to some referrals and good luck, he’s got a good crew now, but he says it isn’t always easy. 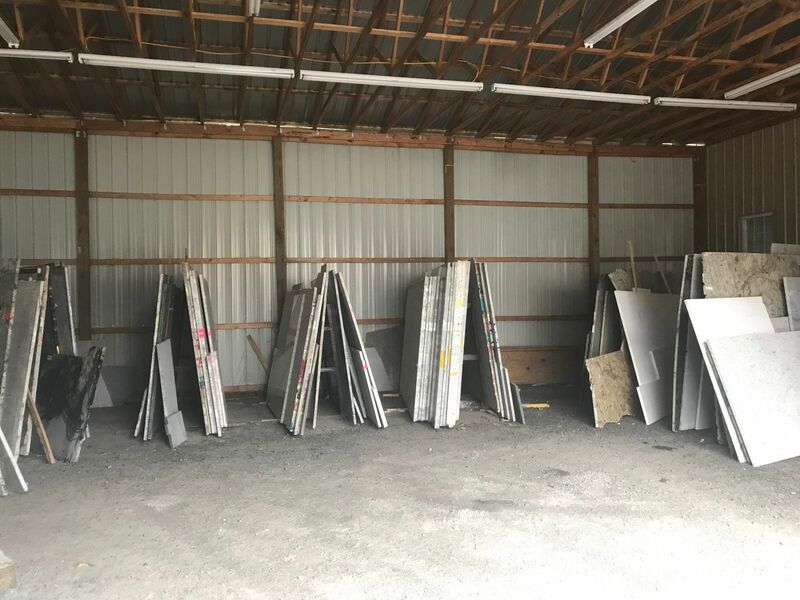 Along with the sales manager, the lead fabricator opted to stay on when the Ruggieris took over, and both the lead installer and one of the other fabricators came from Trinity Granite’s competitors. Not that that’s always the best answer, though. Mike Ruggieri says he recently tried out someone experienced doing templates with the hope of being able to hand-off that job. However, he found the man couldn’t adapt to his high expectations. As it is, the Ruggieris put an emphasis on payroll, making sure they pay their people better than they’d make elsewhere as an incentive to stay. And, Mike Ruggieri says he’s investigating adding an IRA (individual retirement account) plan to the company’s benefits. He also says he makes sure his workers understand the economics of the situation. While he puzzles out an answer to that, Mike Ruggieri says the couple is enjoying the success their own business has brought.